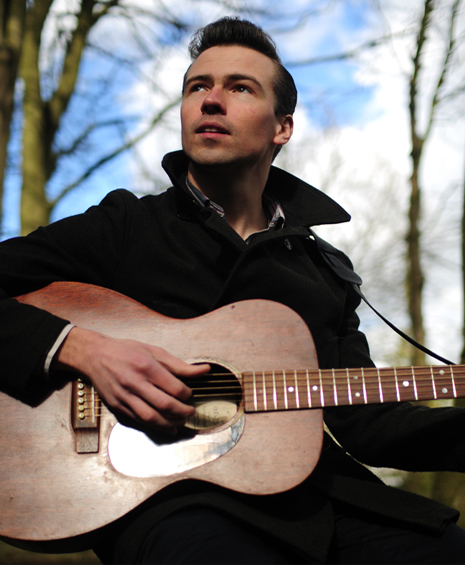 DAVID BROAD: David’s playing is seeped in the tradition of American folk and blues guitar, from the rags of Blind Blake and Reverend Gary Davis, to the delta blues of Robert Johnson and Charley Patton. He is also an accomplished harmonica player in the country blues tradition of Sonny Boy Williamson I and Sonny Terry. His involvement with the Lindy Hop scene nudged him in the direction of early jazz and swing, but the standards Louis Armstrong may have sung still posses a rural quality. He cut his teeth playing in country and folk bands and will still play the odd bluegrass number if the feeling takes him. His reworking of traditional songs breathes new life into well worn standards and his original compositions the give a nod to the rootsy side of Bob Dylan, Leonard Cohen and Townes Van Zandt.